Spanish Fork Utah Whispering Willows Homes for Sale; Search Homes for Sale in Spanish Fork Utah. Our search offers the best online, live search engine in Utah County. 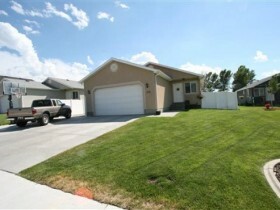 The search has listings of all Spanish Fork Homes, condos, and townhomes for sale. When you subscribe to our Buyer's Club you will receive daily emails of every new listing and price change within your search criteria. You will have free unlimited access to every home listed for sale in Utah County. When you use our search you can save favorites, rank the one's you like, and make notes. If you have questions about the Homes you have seen, Team Teasdale Realty will be able to view your list with you. This makes exchanging information fast and simple. Buyers love that our search points out which Homes are Bank Foreclosures in Spanish Fork and which ones are Short Sales in Spanish Fork. You will be able to find the Fannie Mae and Freddie Mac Bank Foreclosures and HUD Homes on the first day they come for sale. Be the first to know when a great deal has arrived. Remarks: ***See 30+ Photos, click TOUR*** Great family home, shows like a dream! Completely finished. 5 bedrooms, 3 full baths, RV parking, shed with power, tons of tile. huge laundry room,vaulted ceilings, new carpet. This home is easy to show and move in ready. What is Your Spanish Fork Utah Whispering Willows Home Worth? Request your free Spanish Fork house report today! A house value report or a comparative market analysis will help you determine what your home will sell for in the current housing market in Spanish Fork Utah. What is a Comparative Market Analysis? A true comparative market analysis or CMA for short is a report that is created to give you an idea of what your home should sell for in the Spanish Fork area. The CMA will take into account numerous aspects of your home, to include recent sales, pending sales, and current listings that are within the same neighborhood and have similar characteristics as the subject property. The best part about a CMA is that it is free. Team Teasdale Realty is a team of professional Realtors that live and work in the Spanish Fork area. Paul Teasdale the Principal Broker will personally complete your Spanish Fork CMA. Paul has been selling homes full time in Spanish Fork for 20 years. Have you ever asked the question, “What is my Spanish Fork, Utah home value” or wanted to know how to find the value of a home? We can provide you with a free house value report also known as a CMA or comparative market analysis. The house values report that we provide comes in two parts depending on your needs. If you are thinking about selling your Spanish Fork home and need a more detailed and accurate report, we will send you a personalized comparative market analysis. If you would like, we can also come to your Spanish Fork, UT home and make suggestions on how you can improve the value of your home with simple home staging tips or more in depth ideas on upgrades and home improvements. We hope that you will take the opportunity to fill out the form to receive your free house values report today. Tell us about your dream home in Spanish Fork, Utah. Hire a Spanish Fork, Utah Realtor. Would you like a free CMA (Comparative Market Analysis) on what your Spanish Fork Utah Home is worth?